Learning & exhibiting. 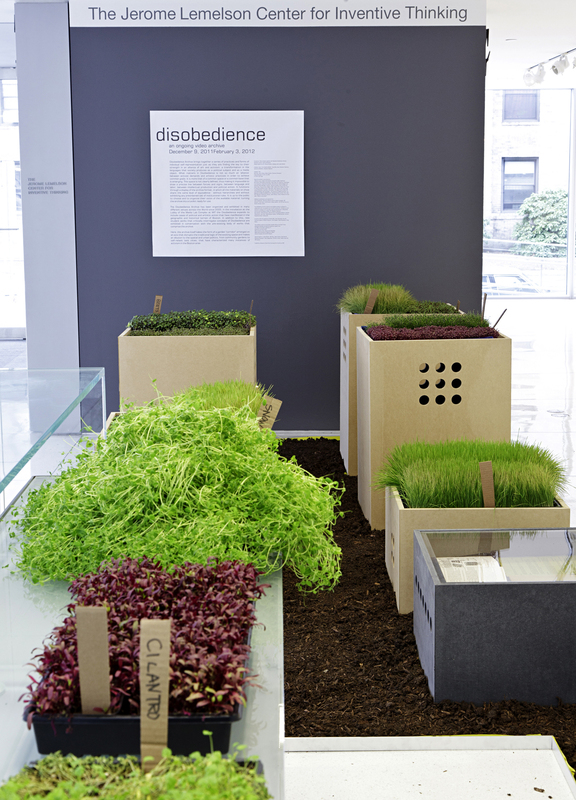 “Disobedience Archive” at MIT in Boston and other study cases. 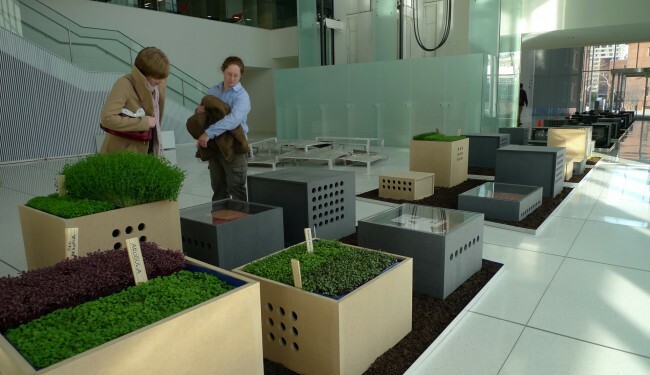 In these last years the exhibit spaces of many academic institutions in Europe and in the United States of America are characterized by experimental programmes and interesting elaborations around the format of the art and architecture exhibition. 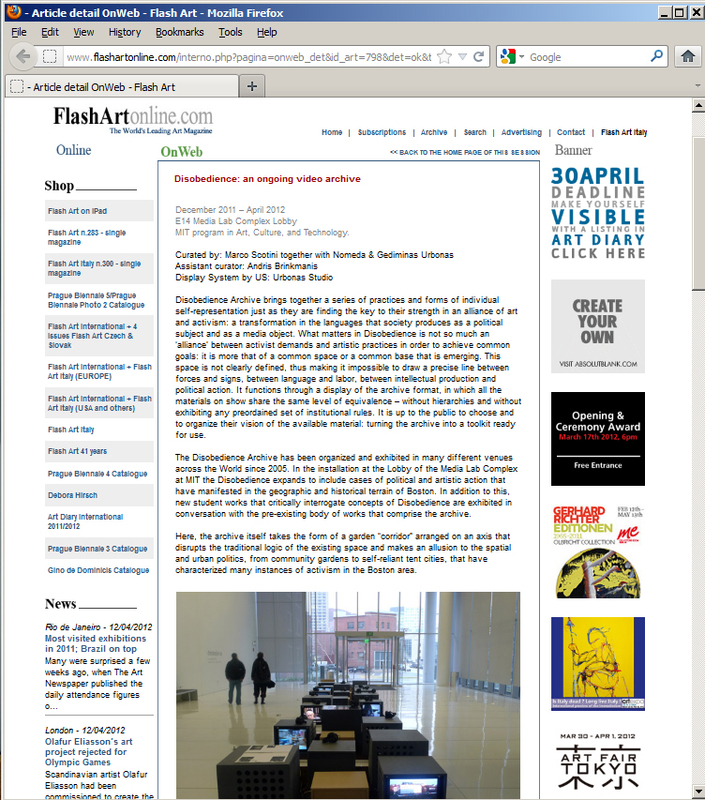 After the unsuccessful experiment of Manifesta 6 in Cyprus, which will be the future of the combination learning&exhibiting? Almost six years have elapsed from Manifesta 6 in Nicosia, the curatorial project by Mai Abu ElDahab, Florian Waldvogel and Anton Vidokle that – inspired by the Black Mountain College founded in North Carolina in 1933 – had for some months fancied of transforming an European biennial into an Education project set up in a conflicting land, where there were neither art academies nor architecture schools. 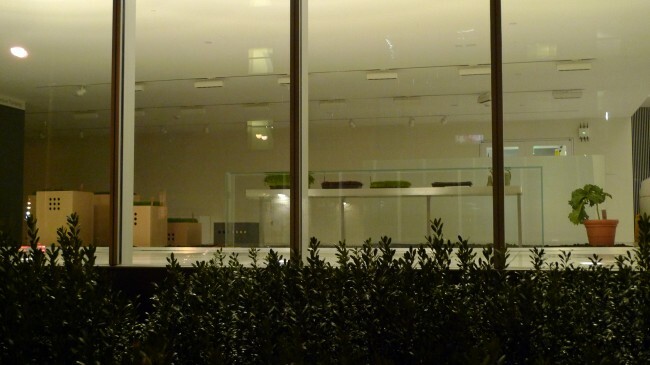 By now some years have elapsed also from “United Nation Plaza”, the temporary school that Vidokle himself decided to place in a Berlin ‘terrain vague’ in 2007, shortly after the sad conclusion of the Cypriot adventure, never become a reality, never transformed into a physical structure, just remained an interesting project. Today, in a moment when the spaces dedicated to art and culture institutions are undergoing an interesting process of redefinition, in the light of the radical expansion of the global systems, of a renewed social participation and of the new territories explored by artists in these last years, some academic structures seem to be in the vanguard by hosting and often producing very high-quality exhibitions and projects at their premises, thus revealing and triggering interesting exchange mechanisms between the education world and that of producing art (or architectural research) and exhibition. 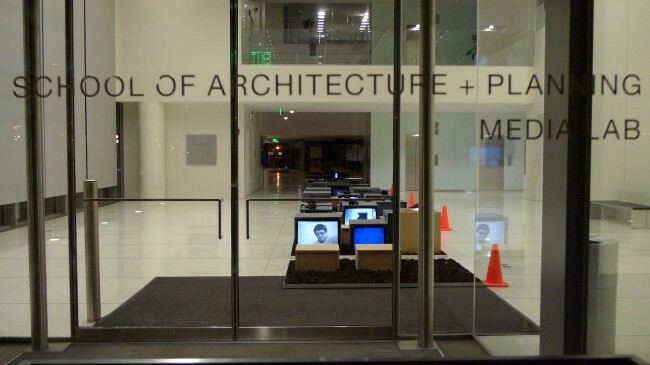 For instance Wattis in San Francisco is a space precisely born in a university context and for years capable, today even more under the guide of Jens Hoffmann, to produce exhibitions, often exploiting as driving force its relation with the academy (California College of Art – San Francisco). A clear example thereof is “John Baldessari: Class Assignments, (Optional)” as the future project announced during the last interview Hoffman realized for Abitare, “When attitudes became form, become attitudes” (September 2012) in which the famous and influential exhibition curated by Szemann at Kunsthalle Bern will be reread and rearticulated between past and future. 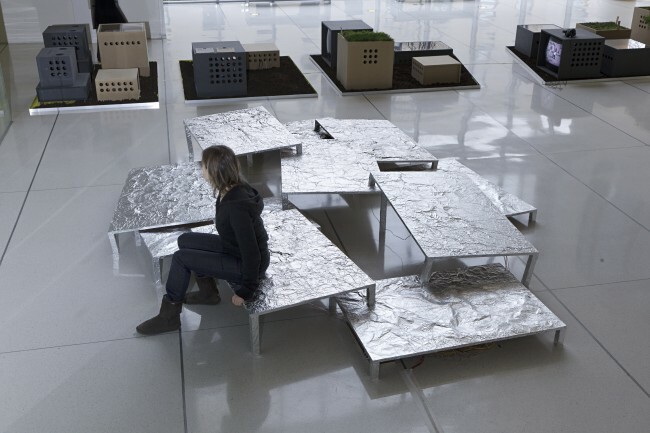 With regard to architecture, EPFL | École Polytechnique Fédérale de Lausanne and Architectural Association London, just to mention a few, realized in these last years various exhibitions apt to explore key themes and issues in the contemporary debate. 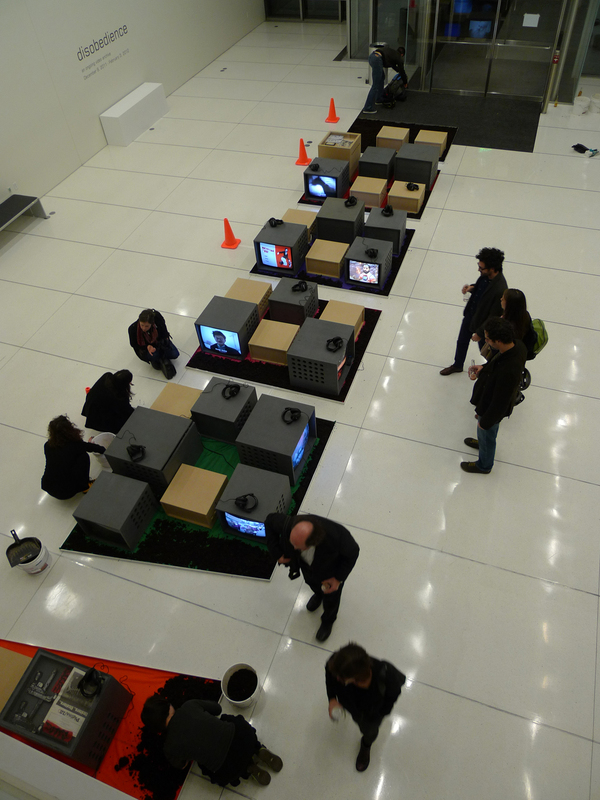 Among these there is definitely “OMA Book Machine” (2010) curated by Brett Steele and Zak Kyes. 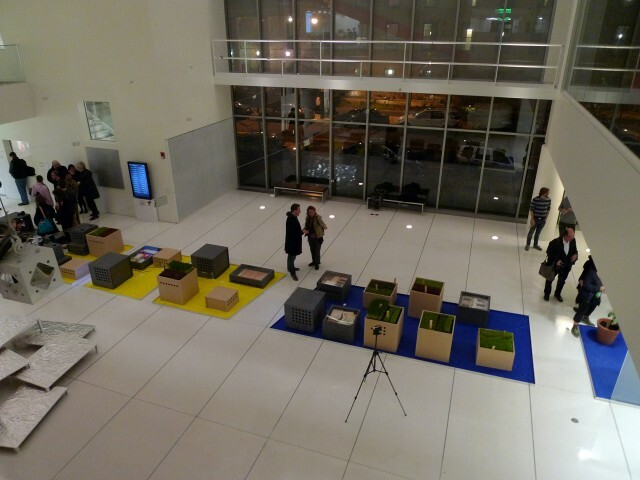 In this sense a few days ago closed at MIT Boston an exhibition which maybe more than others explores and puts to the test the fertile relation ground between education and display. 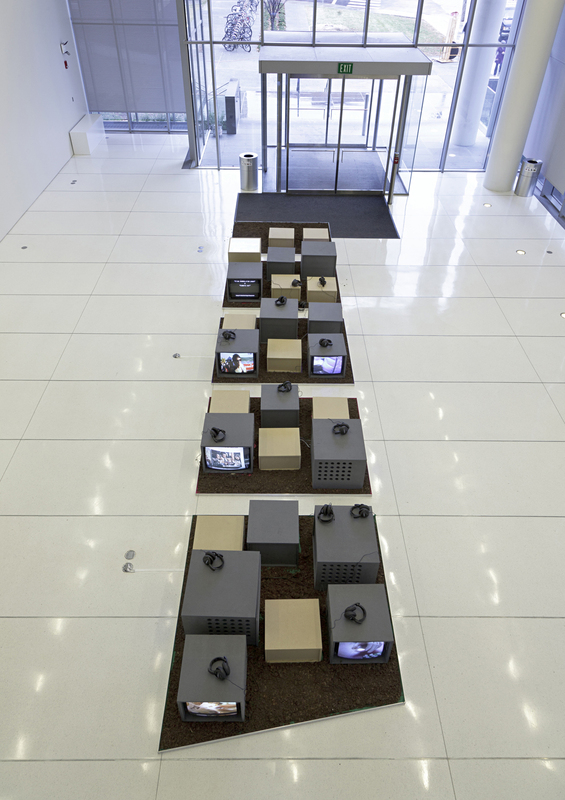 “Disobedience – an ongoing video archive” was set up at the Media Lab Complex Lobby of the MIT in Boston, curated by Marco Scotini and Nomeda & Gediminas Urbonas. 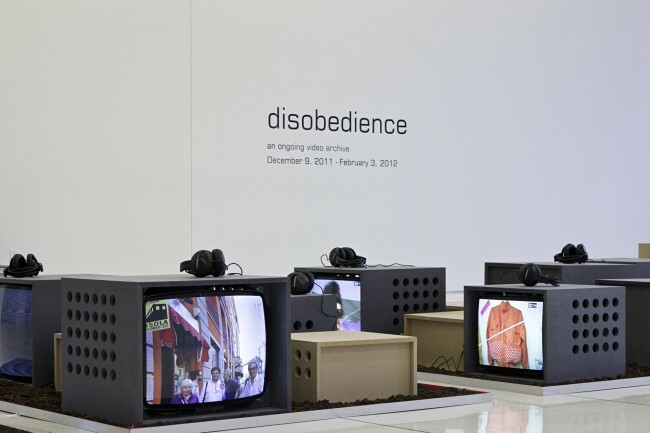 The archive of “Disobedience” explores and reveals the common ground, between present and past, where political and aesthetical practices merge in an organic whole of action and revolution. 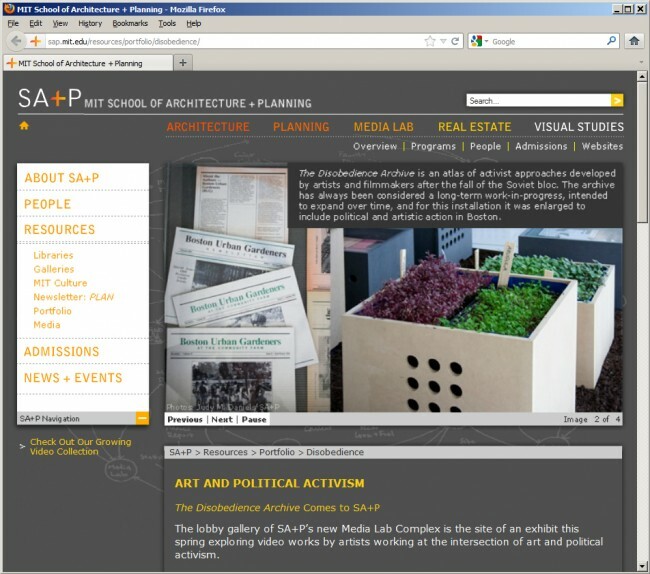 Already displayed in many exhibition sites such as Rawen Row in London or the Van Abben Museum in Rotterdam, Kunstraum Kreuzberg/Bethanien in Berlin, the project reconfigures for the MIT academic context with a new display designed by Urbonas Studio, that includes in the archive pieces and videos the works realized by the American students during workshops and harbours local material relating to political and artistic actions developed in the Boston area (for instance Sylvère Lotringer, Hans Guggenheim, ACT UP, Juliet Stone). 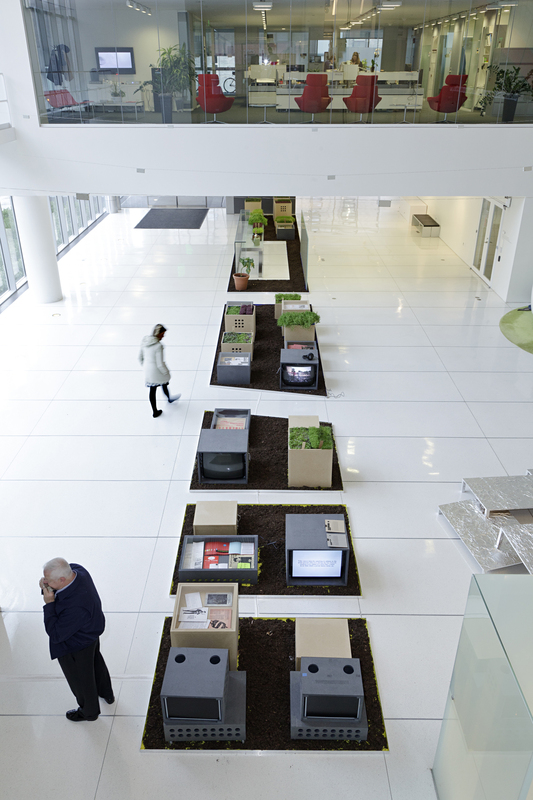 As a long strip of garden, the display gets into the space of the faculty lobby, the setting up of the project echoes the forms of the community gardens and of the North-American protest tent camps. 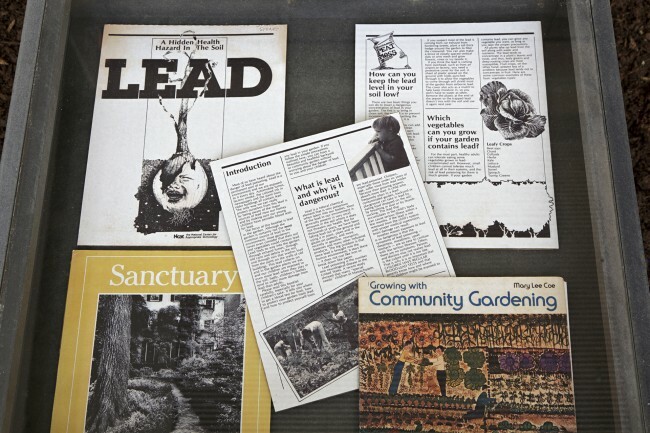 With no hierarchy inside – every piece, video, publication, testimony, has the same historic and aesthetic value – the archive being a complex and compressed aesthetic-critical device transforming into a tool for students and visitors. 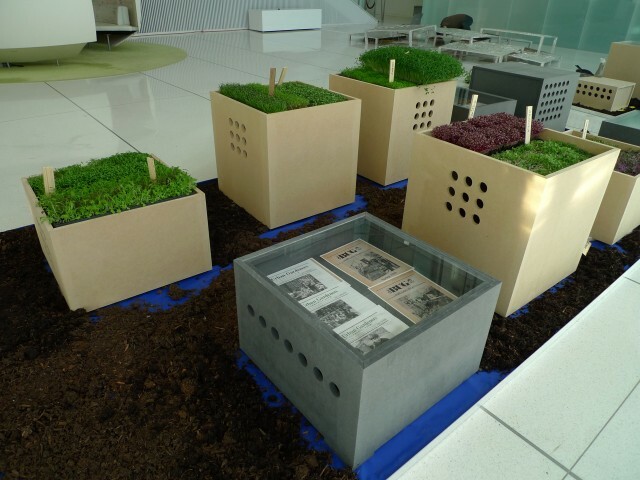 The school supports the research for the exhibition, completes the narrations, enriches with its contents. 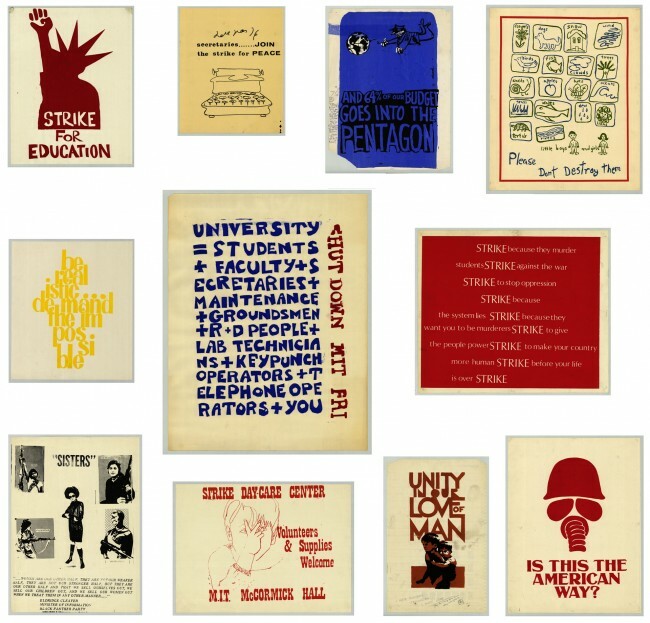 The exhibition and the research complete themselves, the school – really as infrastructure – produces and redistributes contents. 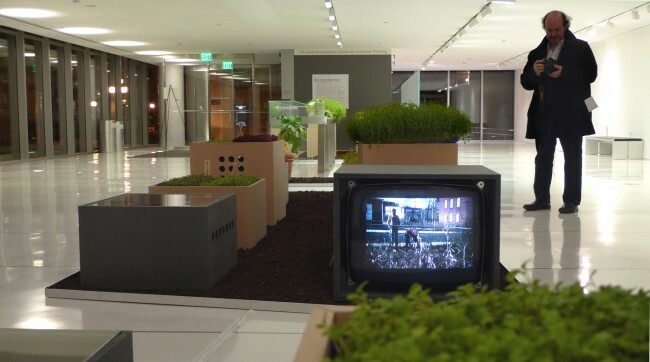 The lobby gallery of SA+P’s new Media Lab Complex is the site of an exhibit this spring exploring video works by artists working at the intersection of art and political activism. 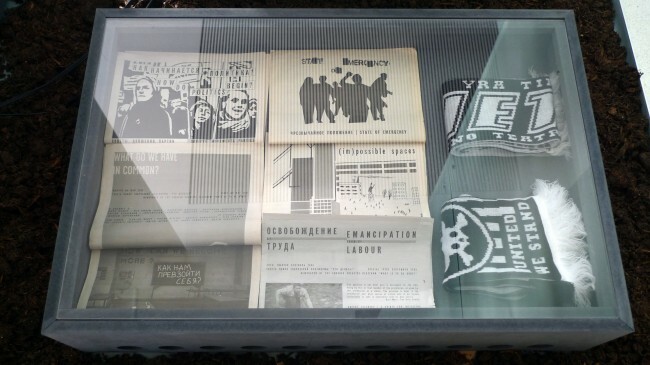 Founded in 2005, and since exhibited around the world, The Disobedience Archive is an atlas of activist approaches developed by artists and filmmakers after the fall of the Soviet bloc that are currently proliferating on a global scale. 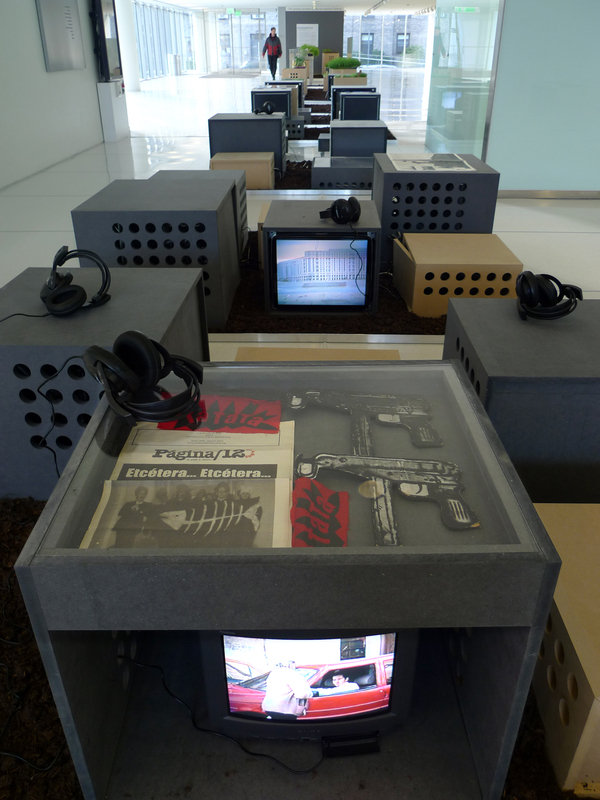 Using ‘tactical media’ such as low-cost video and free web access, the DIY techniques offer unprecedented access to those who feel they’ve been damaged by mainstream culture. 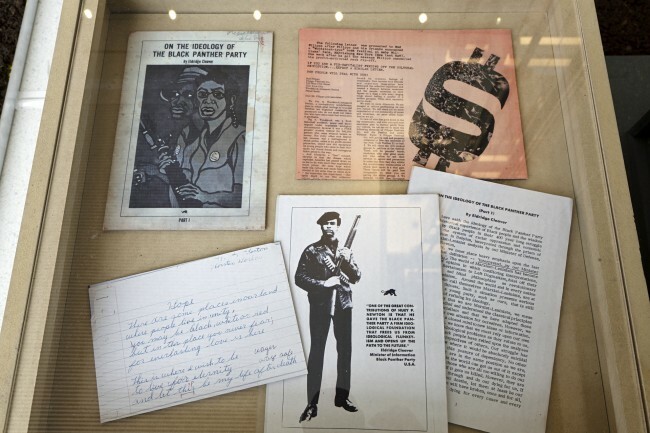 The core of the collection focuses on social struggles in Italy, Germany, Argentina, Israel and Palestine, post-9/11 America and other insurrections around the world. 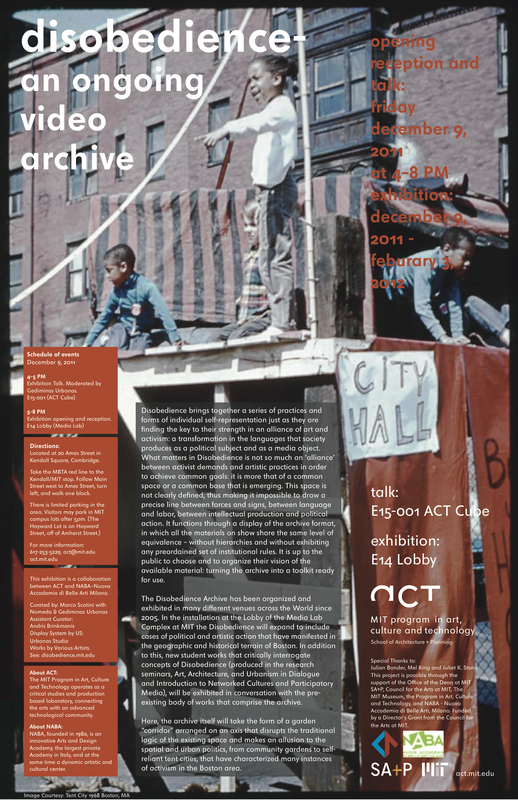 But the archive has always been considered a long-term work-in-progress, intended to expand over time, and for this installation it was enlarged to include political and artistic action in Boston. Originally scheduled through February, then extended through April 15, the installation was curated by SA+P’s Gediminas Urbonas, and his partner Nomeda Urbonas, working with critic and curator Marco Scotini, director of the Visual Arts Department at Nuova Accademia de Belle Arti Milano and curator of Milan’s Gianni Colombo Archive. 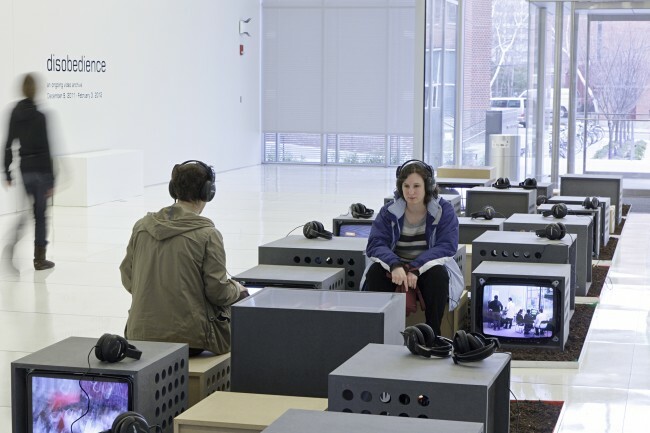 It was developed in tandem with last fall’s lecture series in the Art, Culture and Technology Program – Zones of Emergency: Artistic Interventions – directed by Ute Meta Bauer, then director of the ACT program. 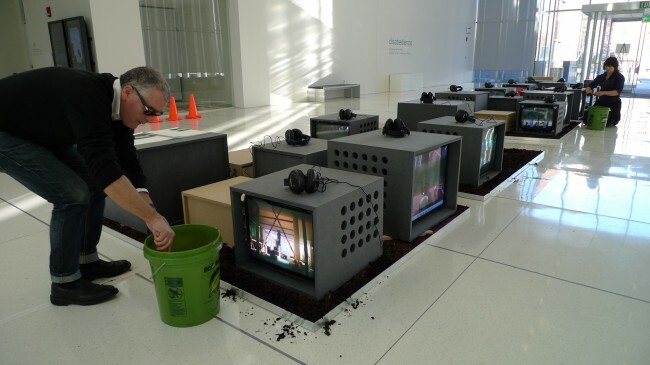 That series investigated creative responses to conflict and crisis to explore how artistic interventions can disrupt, subvert or transform existing conditions in critical ways. 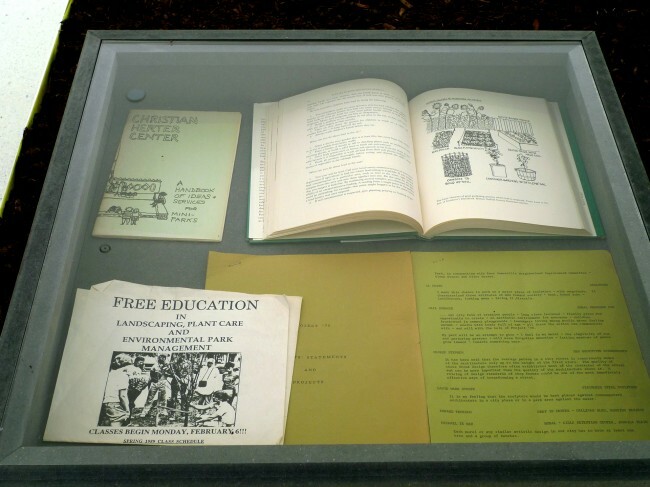 Tables Talk, an installation by Hailong Wu exploring the student protests at Harvard in 1969. 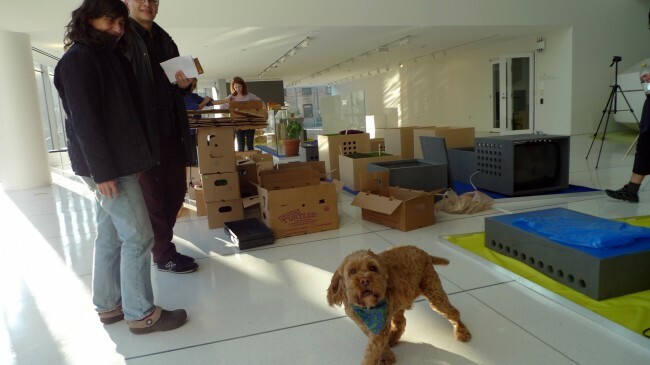 During the strike, the first thing students did was to pile up the tables in classrooms, to re-arrange the space as a way of deconstructing the power structure. 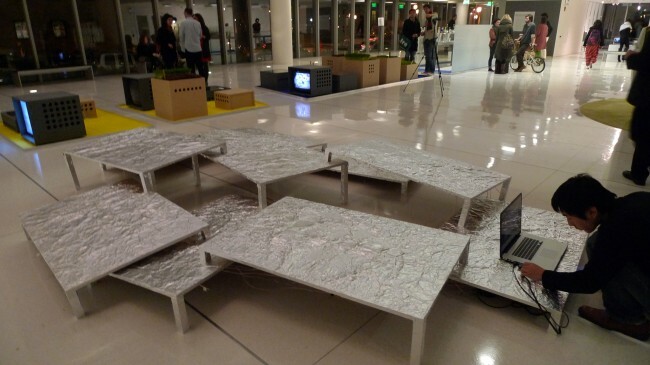 Tables Talk freezes such a moment and reconstructs it with different material, different geometry and different functions, turning the tables into stairs, mirrors and sound generators that offer people the chance to revisit a multi-layered sensation of disobedience as it took place in Harvard 1969. 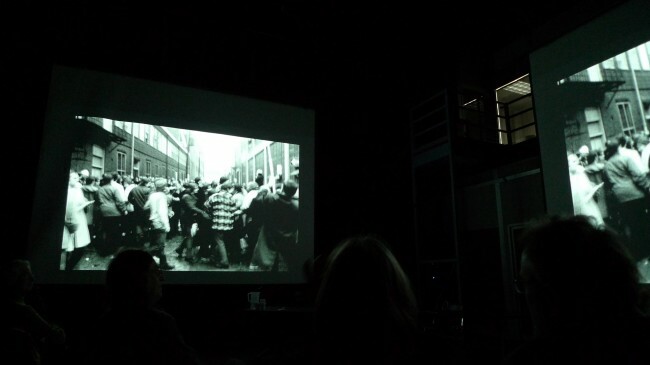 Consent, a multi-channel video work by Alex Auriema comprising video coverage taken by police of the public in protest. Since the US Court of Appeals ruled that citizens have a right to videotape police in action, police have become increasingly wary of making arrests for ‘unlawful’ recording of their actions and have even become creative with their own video recording, stepping up their own right to record the actions of protesters. An open lawsuit in collaboration with the Boston ACLU is seeking to retrieve the footage that the Boston Police Department has captured since the start of Occupy Boston. 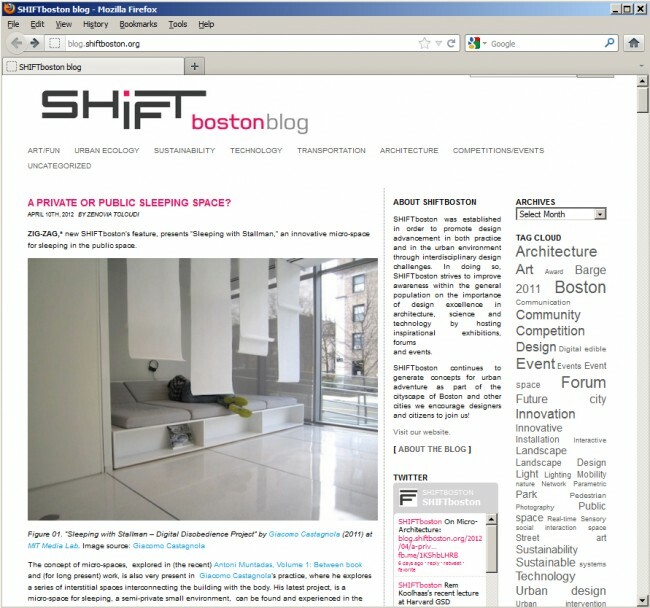 Sleeping with Stallman, an installation by Giacomo Castagnola, began as an investigation into the use of dwelling as a protest tactic, such as Occupy Boston’s use of sleeping in public space to disrupt the existing system. The notion of ‘sleeping in public’ as a form of social critique led him to knowledge of Richard Stallman, who lived and slept in his office at MIT in the 1990s as an act of civic disobedience. 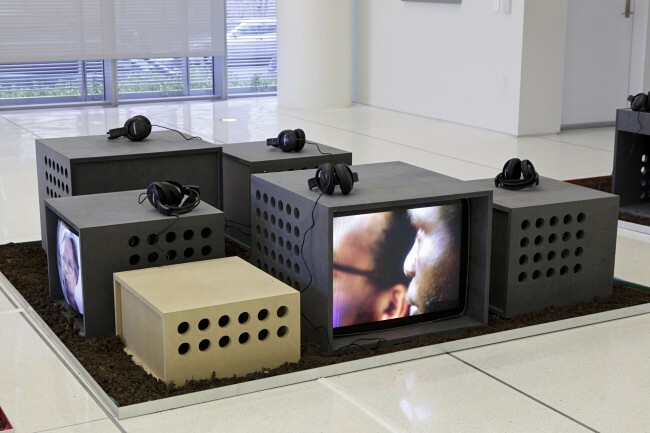 Consisting of a soft platform that hosts three sound compilations and three reading sections, Sleeping with Stallman is a ‘hack’ into the exhibition space that references sleeping as a form of political resistance. 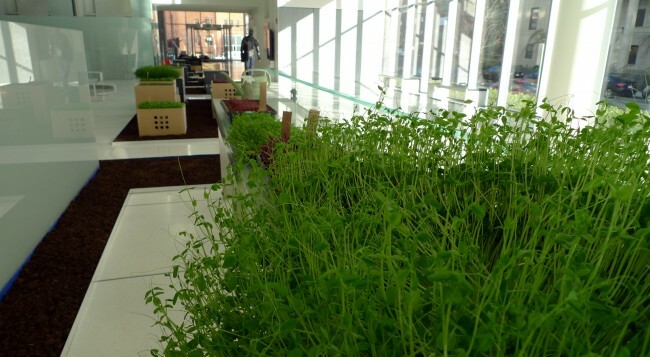 microBUG, an installation by Joan Chen, was inspired while researching histories of urban gardening in Boston. 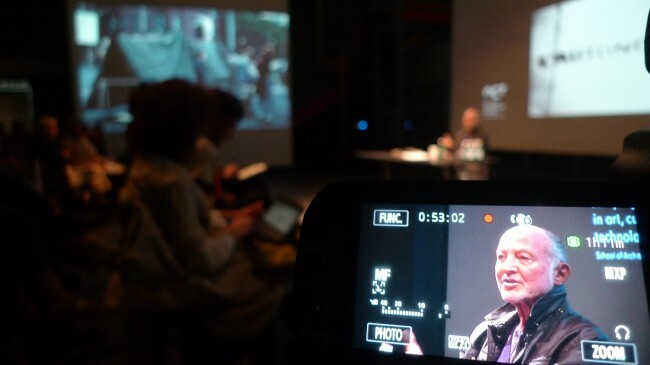 Chen studied the Southwest Corridor Park, an area that was cleared for a proposed interstate during the country’s peak of highway projects only to be terminated in 1969 due to extensive community protests. 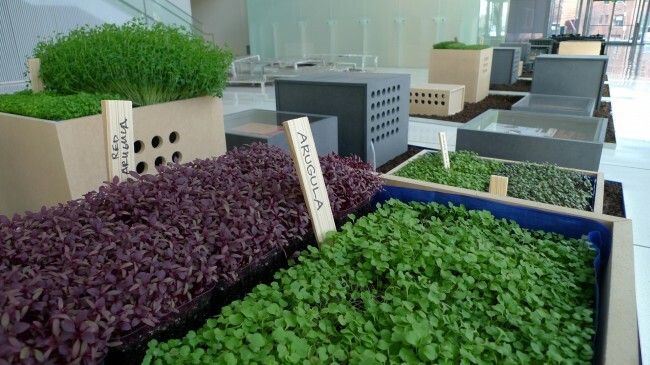 The need to heal the urban scar left by mass demolition was met by building a public green space featuring community gardens to stitch the neighborhoods back together in a form that combines food production, neighborhood renewal and ongoing discussion of urban agriculture. 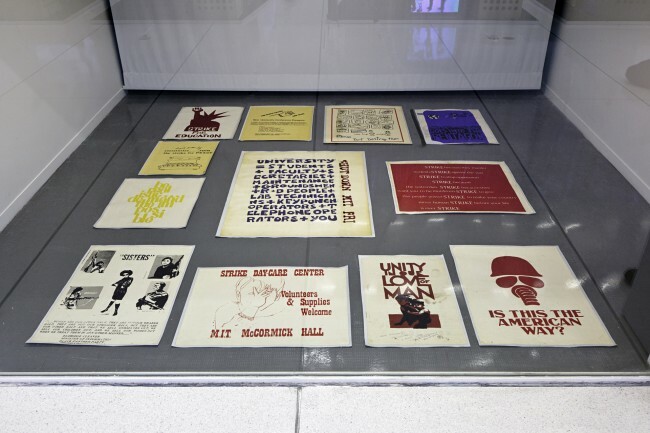 For this exhibit, the MIT Museum also loaned digital scans of original protest posters from their general collection, documenting actions at MIT during the Vietnam Era. 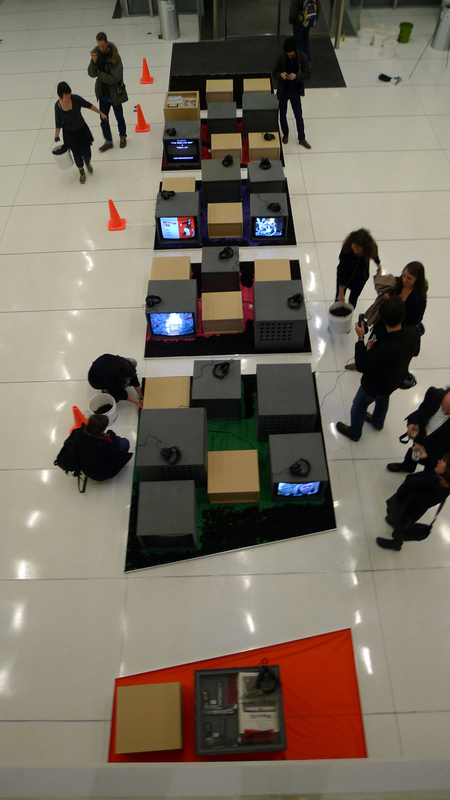 And iHuman, a collaborative project by Caleb Benjamin Harper, Ali Khalid Qureshi and Summer Stephanie Sutton, provided visitors with an avatar that could move around the environment, allowing the controller to experience the physical space in a manner both anonymous and remote. 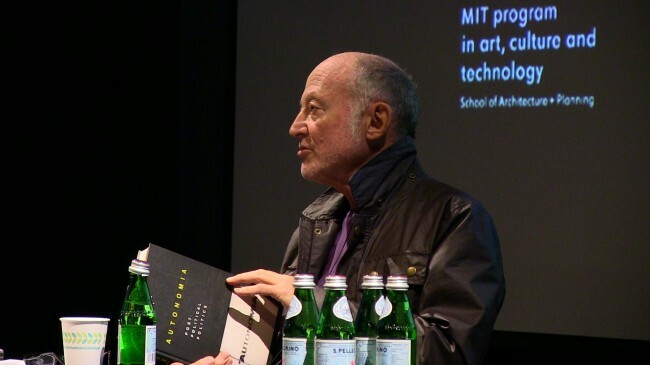 The Disobedience Archive was produced at MIT with help from SA+P’s Office of the Dean, Julian Bonder, Paul Summit, Mel King and Juliet Stone. 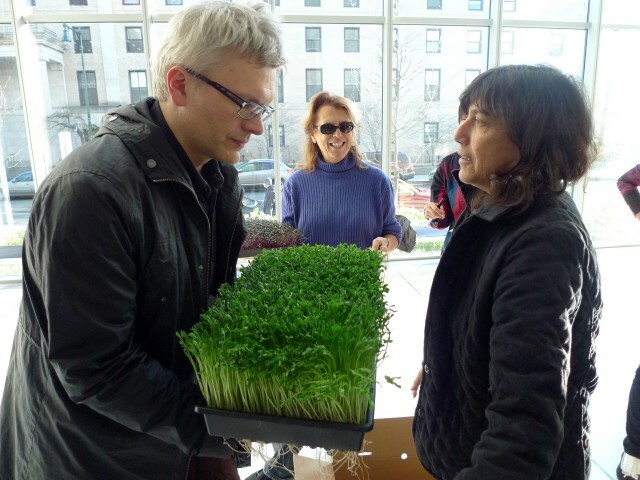 It was funded by the Grants Program of the Council for the Arts at MIT and a Director’s Grant from the Council for the Arts at MIT. 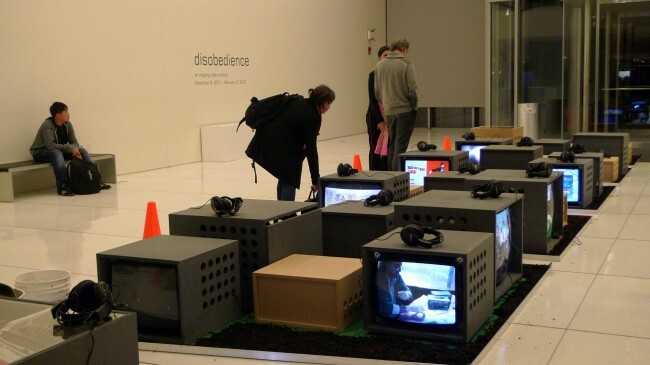 Il Disobedience Archive, curato da Marco Scotini insieme con Nomeda e Gediminas Urbonas e con l’assistenza di Andris Brinkmanis, raccoglie una serie di pratiche e di forme di auto-rappresentazione individuali viste come un insieme capace di creare sinergie forti a cavallo tra arte e attivismo: una trasformazione nel linguaggio che la società produce come soggetto politico e come oggetto mediatico. Ciò che importa nel progetto Disobedience non è tanto un’alleanza tra le domande degli attivisti e le risposte degli artisti per il raggiungimento di obiettivi comuni, quanto piuttosto l’emergere di spazi e piattaforme comuni di condivisione. Questi spazi non sono chiaramente delimitati, ed è quindi impossibile tracciare una linea di demarcazione tra forze e segni, tra linguaggio e lavoro, tra produzione intellettuale e azione politica. Disobedience funziona attraverso il dispositivo dell’archivio, in cui tutti i materiali esposti, prevalentemente video, condividono un livello di equivalenza, che è quindi privo di gerarchie e che rifugge l’esibizione di ogni qualsivoglia set preordinato di regole istituzionali. Sta al pubblico la scelta e l’organizzazione del proprio personale modo di vedere i materiali a disposizione, l’archivio si trasforma così in un kit di strumenti ready for use. 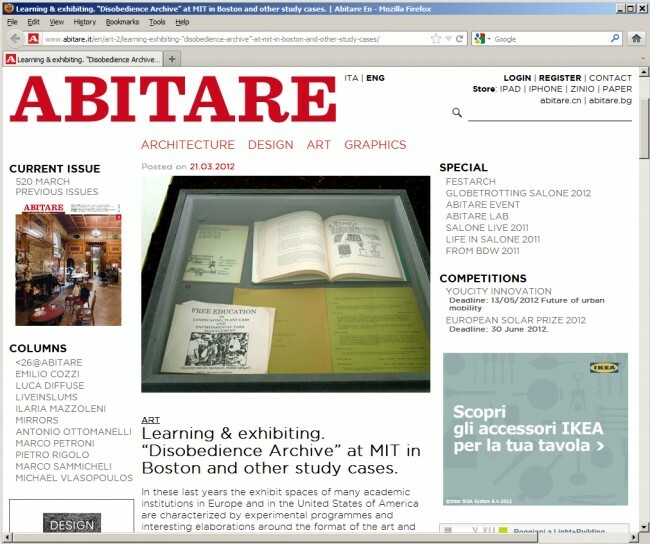 Il Disobedience Archive è stato esposto in una grande varietà di ambiti in tutto il mondo sin dal 2005. 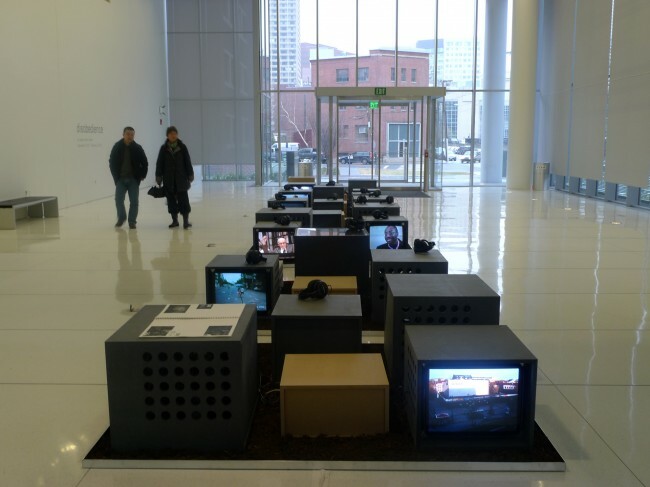 Nell’istallazione per la Lobby del Media Lab Complex al MIT l’archivio si è espanso includendo alcune di quelle azioni politiche e artistiche che si sono espresse nel contesto locale, geografico e storico, di Boston. 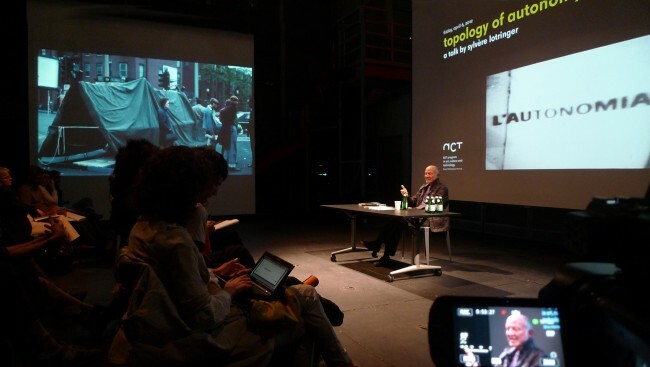 Sono inoltre esposti nuovi e recenti lavori di studenti, prodotti in seminari di ricerca, e nell’ambito di Art, Architecture, and Urbanism in Dialogue and Introduction to Networked Cultures and Participatory Media, che si interrogano criticamente sul concetto di Disobedience e che, nell’ambito della mostra, costruiscono un dialogo con il corpus dei lavori che compone l’archivio. 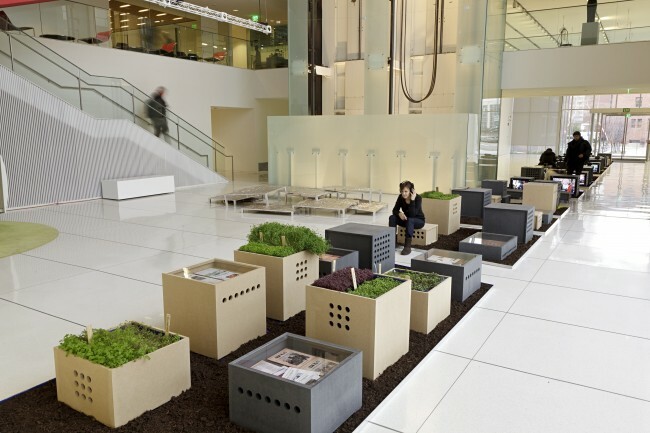 Per quanto riguarda l’allestimento nella Lobby del MIT, qui l’archivio stesso prende la forma di un giardino lineare che si attesta su un asse che rompe la logica tradizionale dello spazio in cui si inserisce alludendo alle politiche spaziali e urbane, dai community garden alle tendopoli spontanee, che hanno caratterizzato tante delle istanze degli attivismi della Boston area. Per finire ecco l’elenco delle fonti dei contributi all’archivio: 16beaver group, Atelier d’Architecture Autogérée (AAA), Gianfranco Baruchello, Bernardette Corporation, Black Audio Film Collective, Copenhagen Free University, Critical Art Ensemble, Dodo Brothers (Andrea Ruggeri and Giancarlo Vitali Ambrogio), Etcètera, Marcelo Exposito, Harun Farocki and Andrei Ujica, Grupo de Arte Callejero (GAC), Alberto Grifi, Ashley Hunt, Kanal B, Margit Czencki/Park Fiction, Radio Alice, Oliver Ressler with Zanny Begg, Joanne Richardson, Eyal Sivan, Hito Steyerl, The Department of Space and Land Reclamation (with StreetRec., The Institute for Applied Autonomy, Las Agencias and AffectTech/BikeWriters), Mariette Schiltz and Bert Theis, Ultra Red, Nomeda & Gediminas Urbonas, James Wentzy, Dmitry Vilensky and Chto delat / What is to be done?, con il contributo di Hans Guggenheim, Mel King, Juliet Stone, Richard Leacock, Sylvère Lotringer, MIT Museum, Paul Summit, Urbano platform, ACT UP e Food not Bombs. 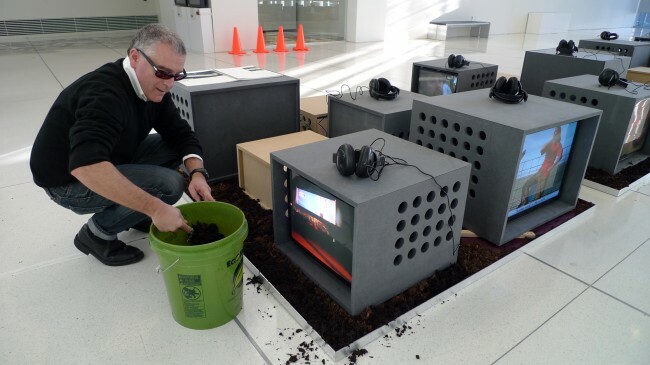 MIT program in Art, Culture, and Technology. DISOBEDIENCE. 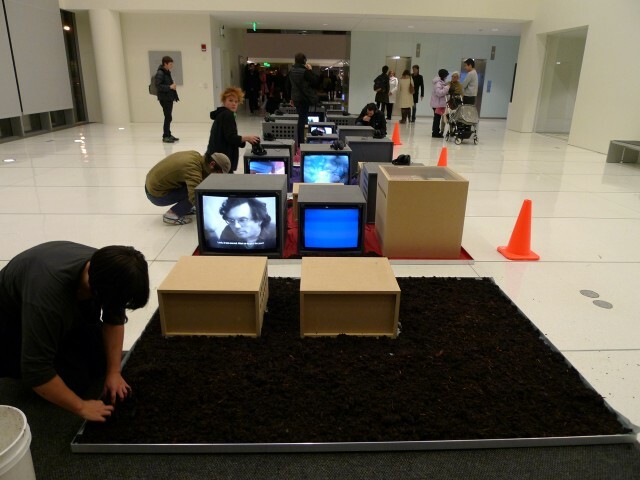 AN ONGOING VIDEO ARCHIVE installation at E-14 the Media Lab building, MIT (http://whereis.mit.edu/?go=E14). 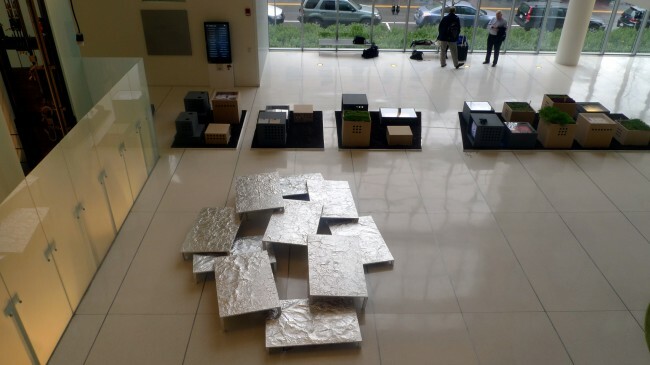 Sleeping with Stallman – Digital Disobedience Project by ACT student Giacomo Castagnola starts the “corridor” line of Disobedience exhibition at MIT. 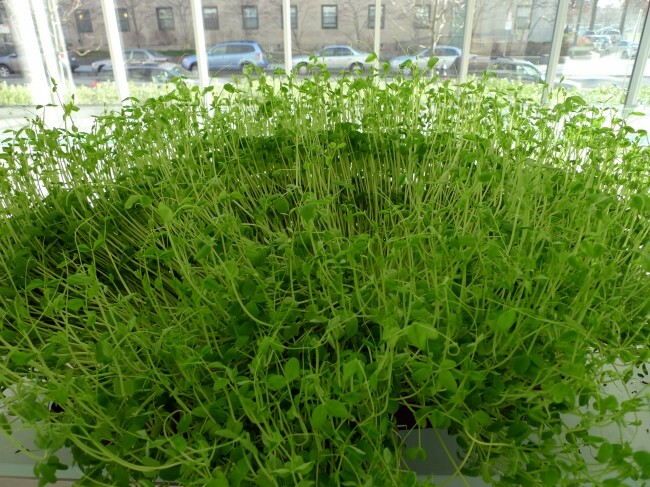 microBUG is part of Boston Chapter of Disobedience exhibition and is inspired by close collaboration with Julie Kepes Stone while researching histories of urban gardening in Boston. 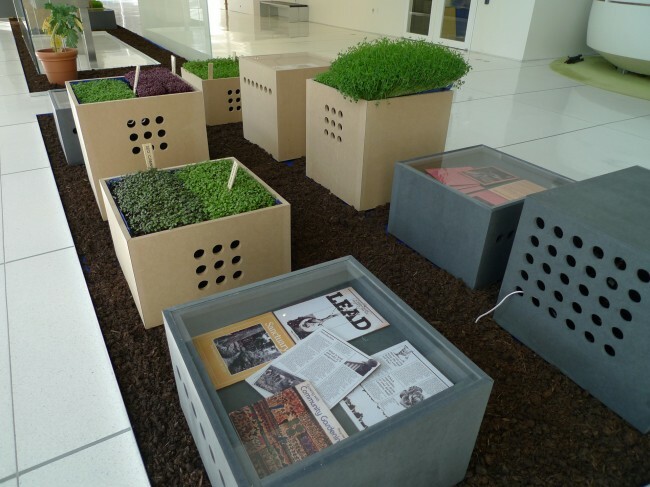 The design of this part of installation is conceived with the help of Joan Chen, student of the class 4.303, “Art, Architecture, and Urbanism in Dialogue”. 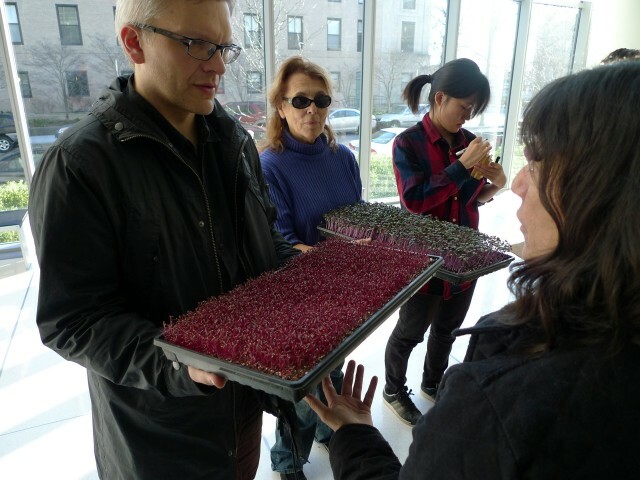 The microgreens-models for edible plants- are provided by Farming Turtles and with the kind help of Lauri Roberts. 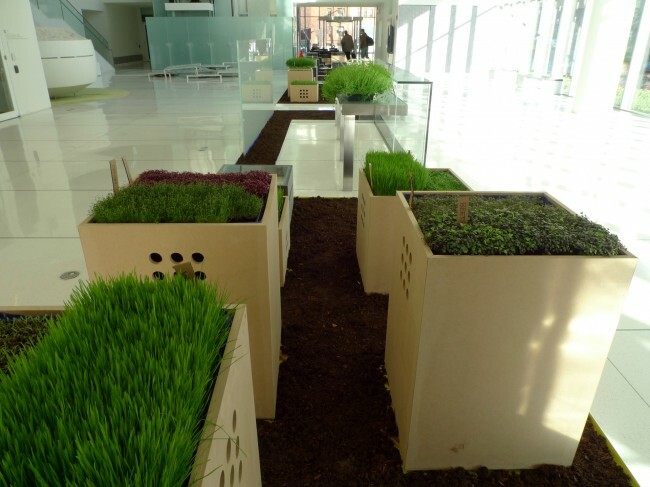 This installation project draws from two inspirations. 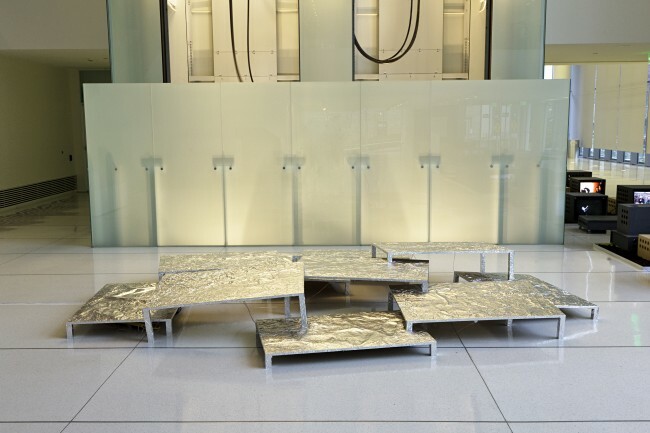 The first is the idea of creating an installation for child’s play—too often we become accustomed the vocabularies of the adulthood that we forget the many possibilities of the child’s world—thus I propose an installation created at the child’s height and scale. This is relevant as a tool for discourse on urban issues because it redefines scale and audience: for whom are the public spaces designed? Do they inadvertently exclude children and the handicapped? 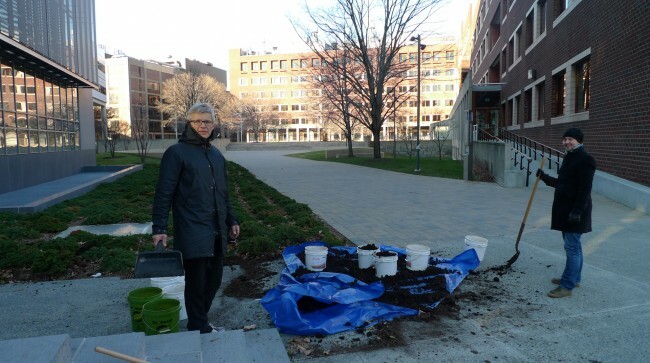 The second is a specific instance of in Boston’s own urban history that relates to disobedience and dissent, the theme of the class (4.303, “Art, Architecture, and Urbanism in Dialogue”); I have chosen to study the Southwest Corridor Park and the community gardens it encompasses. The area was cleared for the proposed I-95 Inner Belt during the country’s peak of highway projects, only to be terminated in 1969 due to extensive community protests; the need to stitch together the urban scar left by mass demolition was met by rerouting the MBTA Orange Line and building public green space. 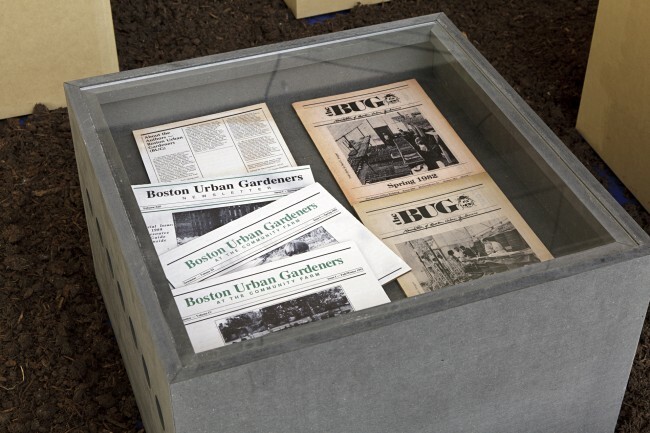 Specially, the community gardens along the Southwest Corridor Park stitches the place together in a form that combines food production and neighborhood renewal. 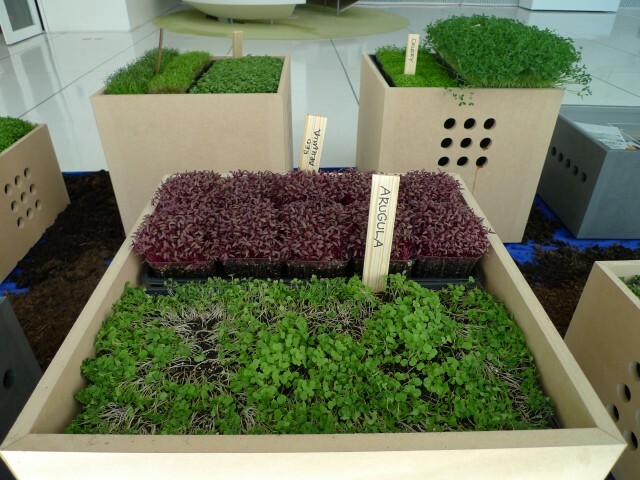 It also relates to ongoing discussion on urban agriculture, food, etc. 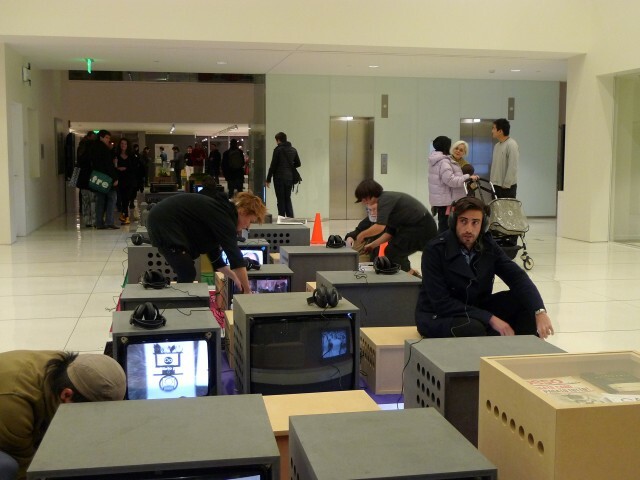 Alex Auriema, student from ACT course “Introduction to Networked Cultures and Participatory Media” presents the multi-channal video work Consent at Boston chapter of Disobedience exhibition. In 2007 Simon Glik was passing through boston common only to find himself witness to a violent drug arrest -seeing that the police were using excessive force, Simon was compelled to reach for his phone and record the situation. Soon after Simon found himself placed in handcuffs and carted off to jail alongside the original offenders. In 2011 The U.S. Court of Appeals for the First Circuit ruled unanimously that Simon Glik had a right to videotape police in action on Boston Common.1 Mr. Glik had sued three police officers and the City of Boston for violating his civil rights after police arrested him and charged him with illegal wiretapping, aiding the escape of a prisoner, and disturbing the peace. There have been several similar incidents in Boston alone from the 2001 up to Glik’s court ruling this year. However, rulings in court prior to Glik’s case have not been so lucky. Many of the cases favoring the police’s arrests – standing behind a murky interpretation of the two-party consent rule that holds in Massachusetts (and 12 other States). Since Simon Glik’s case the police have been much more wary of making arrests for ‘unlawful’ videotaping of their actions. In fact there has been city wide training of police to deal with such statues. As access to video recording devices has become as common as carrying a watch – it is likely that court cases of this nature will not be rare. It seems to be one of the many socio-juridical ramifications of an increasingly video and mediated culture. As the Occupy movement unfolds across the country this particular reality is exacerbated. Needless to say half the experience of a contemporary rally/protest is its mediation via live camera feeds, cell phone uploads to various social media outlets, facebook, youtube, the whole gambit. 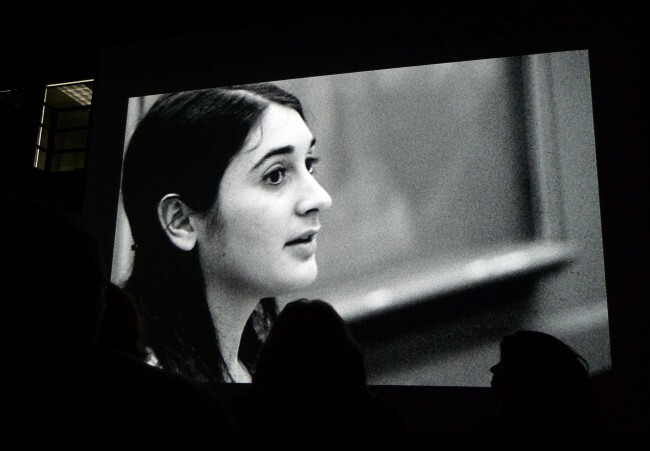 Our exhaustive media has been particularly useful in tracking some of the most brutal moments of the revolutionary verve from Syria to UC Davis, and has subsequently aided in the speed at which the Occupy movement current has spread. In direct response to the recent court decisions– the police have also become creative with their filming- stepping up their own right to film and carefully monitor the actions and encampments of occupiers across the nation. Standing out from the ocean lcd screens is the now ubiquitous presence of the a ‘documentary unit:’ one officer responsible for the systematic coverage of all those engaged in protest, and another officer to ‘cover’ the camera. The footage shown in ‘consent’ is part of ongoing project that is compiling the police’s diligent coverage of the public in protest. In collaboration with the Boston ACLU there is an open lawsuit to retrieve the footage to date that the Boston PD has been capturing of the public since the start of the Occupation in Boston. 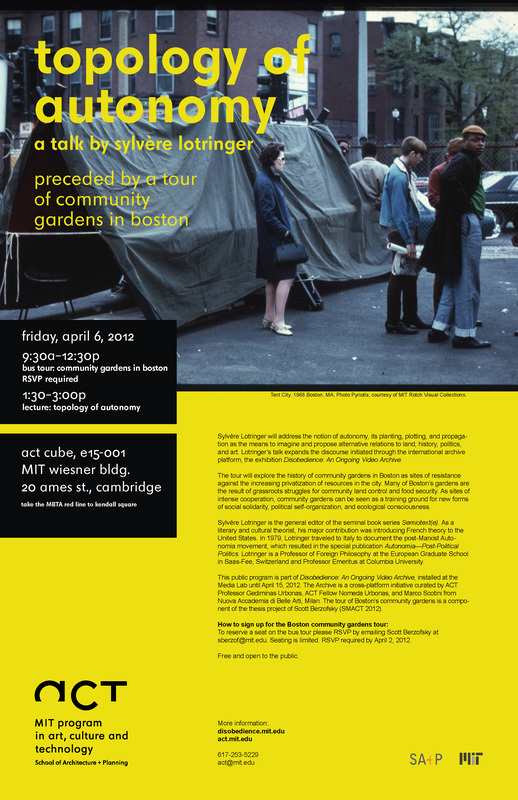 The spatial proposal for the installation of the archive takes the form of a garden “corridor” arranged on an axis that disrupts the traditional logic of the existing space of the Maki Media Lab building and makes an allusion to the spatial and urban politics, from community gardens to self-reliant tent cities, that have characterized many instances of activism in the Boston area. 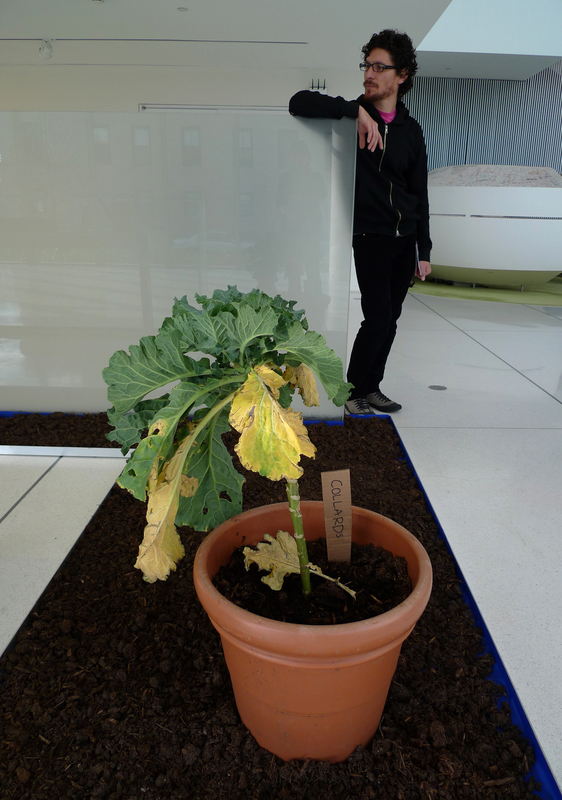 Curator Marco Scotini gardening the exhibition. 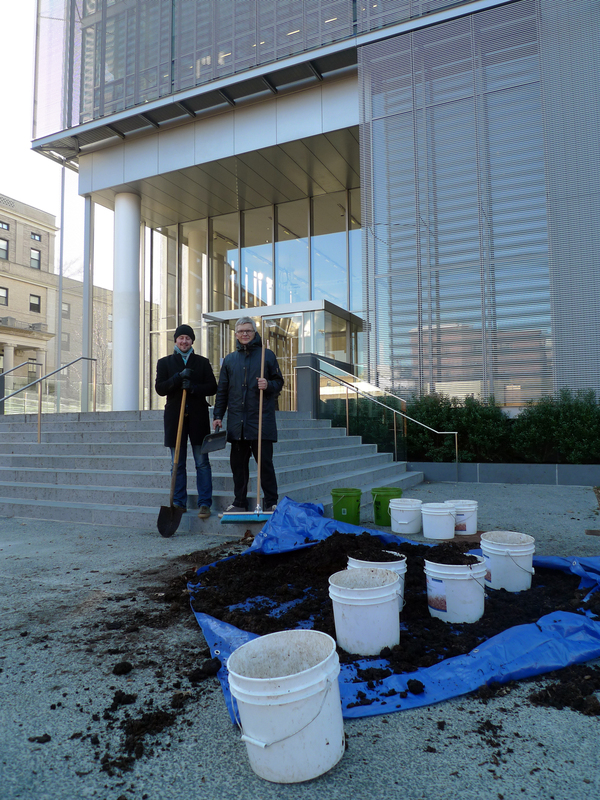 Curator Andris Brinkmanis and artist Gediminas Urbonas gardening at the premises of Media lab building. 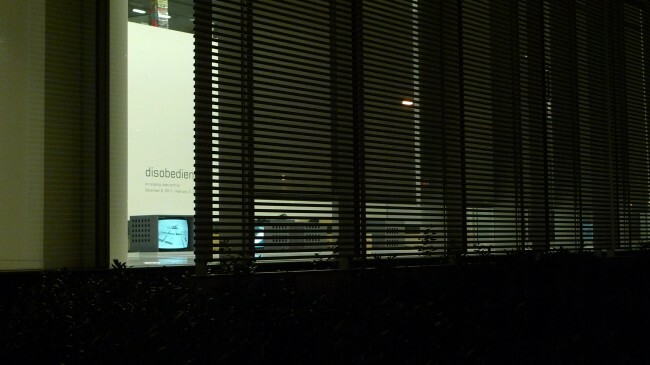 Disobedience archive at MIT at night. 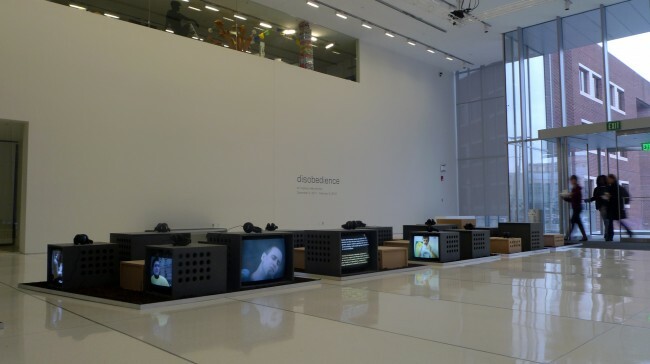 Opening of Disobedience – an ongoing video archive on Friday December 9, 2011 at Media Lab lobby at MIT. 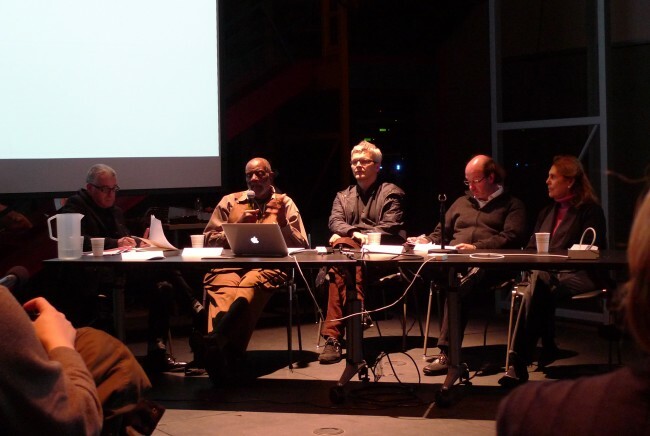 Director’s Grant from the Council for the Arts at MIT. 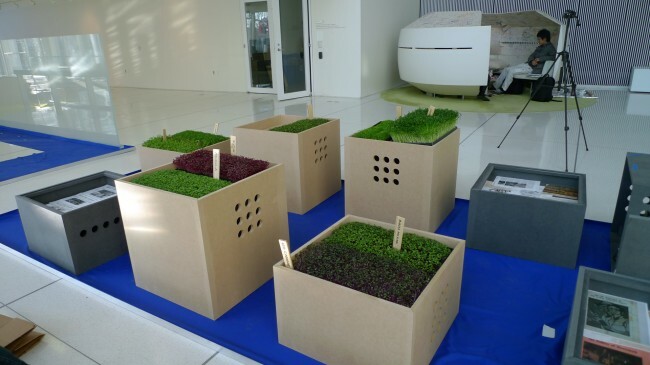 The microgreens – models of the gardening cultures arrive from Farming Turtles of Road Island.